Over the last two hundred years many stories have been told about the Luddites and histories have been written about the events of 1812 and 1813 around Huddersfield and the Spen Valley. 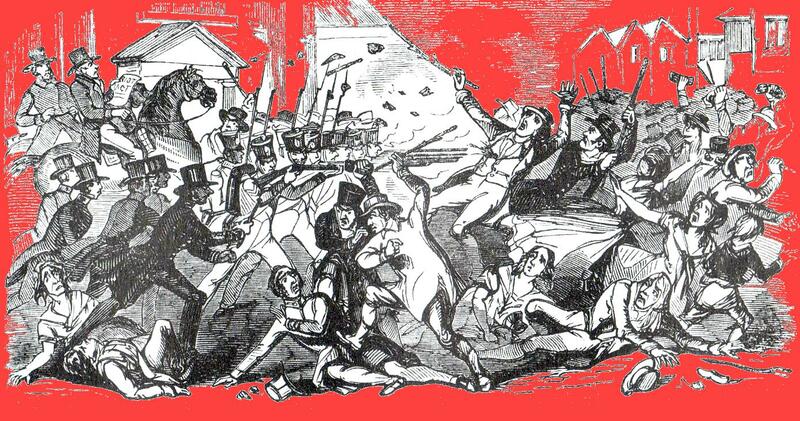 The Luddites are a part of the identity of this part of the West Riding of Yorkshire. However, it was not until 1963 when E. P. Thompson, then a WEA lecturer living in Halifax, published his Making of the English Working Class that anyone had attempted properly to set the Luddites in the context of their times. That work was widely recognised as articulating a new and more radical view of the Luddite events and of the people caught up in them. In 1993, thirty years after Thompson’s seminal work, Alan Brooke and Lesley Kipling took up the challenge to extend his work beyond what he had been able to achieve. Using new evidence and looking more thoroughly at existing accounts they produced a history which in its own way has become a classic. 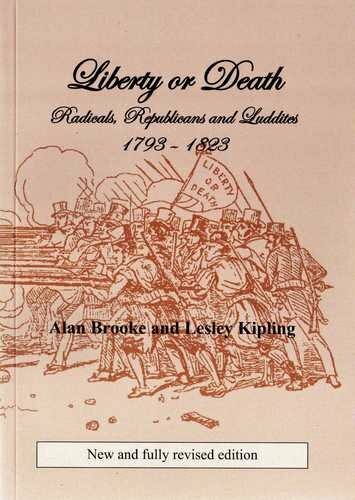 Liberty or Death quickly and very firmly established itself as an important addition to the body of scholarship which underlies Luddite studies. Copies of that first edition have become collectors’ items. Now Alan and Lesley, drawing on their continuing research, have produced a revised and extended manuscript. The Huddersfield Local History Society is proud to be able publish a special Luddite bi-centenary edition of this classic work of our local history. In doing this we would like to express our appreciation for the generous support of The Lipman-Miliband Trust. or by post from: HLHS, 24 Sunnybank Rd, Huddersfield HD3 3DE. Cheques payable to: Huddersfield Local History Society. DUE TO POPULAR DEMAND THE BOOK HAS NOW BEEN REPRINTED (2014).